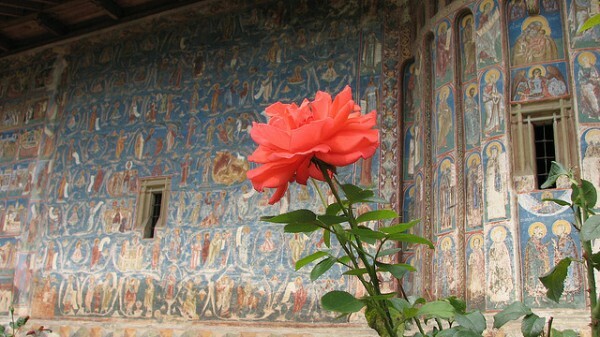 Romania is a land where the places of worship are abundant. There are numberless temples, monasteries, churches, basilicas and so on. They are all unique in their own way as they were built in all kinds of architectonic styles but the majority varies between Byzantine, Baroque and Renaissance. Bucovina lies at the Carpathian foothills, in the northeastern corner of this beautiful country. The reason why there are so many churches in Romania is that Stefan the Great, a Moldavian ruler fought against the Turks between 1457 and 1504 and after each battle won he built a church to thank God for victory. 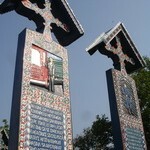 In total there are 48 churches built by him and his descendant Petru Rares. Visit these magnificent buildings and admire their exceptional frescoes, including the seven painted monasteries which are enlisted as World Heritges sites. 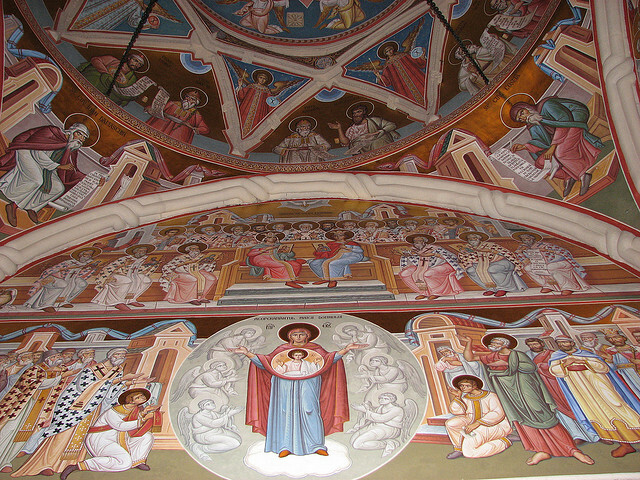 The beautiful region of Bucovina is rich in religious art and has many beautiful monasteries worth visiting. Also the landscape does not lack natural beauty either. There are thick forests, wonderful valleys and charming houses with farms and gardens scattered across the landscape. 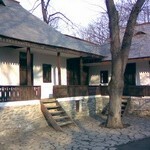 Visit the vineyards and taste the best wines of the Moldavian region which have been known for many centuries. Visit one of the most important treasures of Romania, the painted monasteries in the southern part of Bucovina. These artistic monuments are among the greatest of Europe. The majority of the churches are surrounded by strong walls which protected them against the invasion of the Turks. 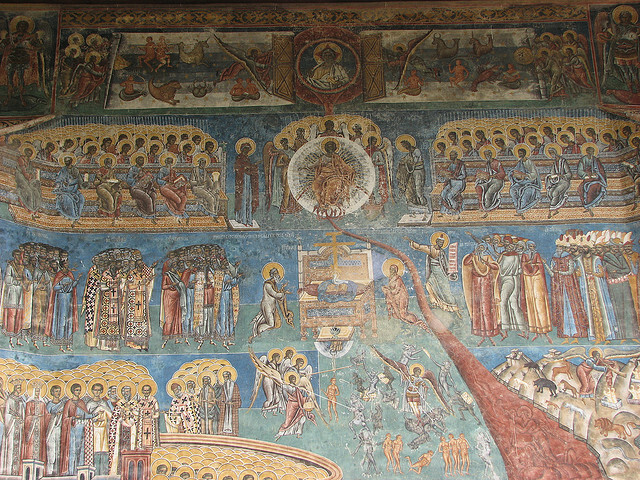 The outer sides of the fortified walls are decorated with several vivid frescoes which depict scenes from the Bible. The intention of these pictures was to teach the illiterate about Christianity. 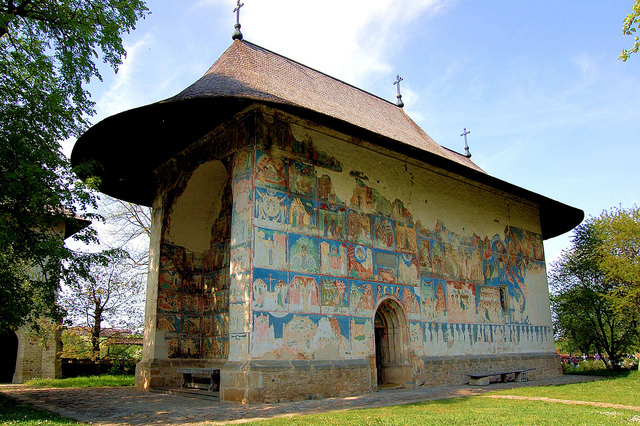 The intensely colored artwork has survived for more than four centuries.Near the capital of Bucovina, Suceava, there are five of these painted monasteries called Arbore, Humor, Voronet, Sucevita and Moldovita. On the walls of Voronet blue serves as a background color and the fresco depicts the Last Judgment. Humor has red as the predominant color. Sucevita is the finest and the largest of all the monasteries as it has thousands of images painted on its walls with an emerald green background color. Moldavita is located in the middle of a baroque farming village and it consists of heavy gates, towers as a strong fortified enclosure. In the center of it all a magnificent painted church is situated.